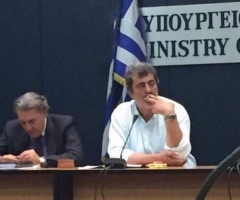 Polakis, who is also a surgeon, said he was dealing with more pressing issues at the Ministry than smoking. "Learn before you speak," Polakis wrote on his Facebook account in a post addressed to Andriukaitis. His boss, Prime Minister Alexis Tsipras, also eschews ties. He briefly wore one last year after brokering an agreement with the country's lenders on debt relief for the nation, which required 3 bailouts between 2010 and 2015.